I'm on a real pizza kick lately without eating "actual pizza" ha. 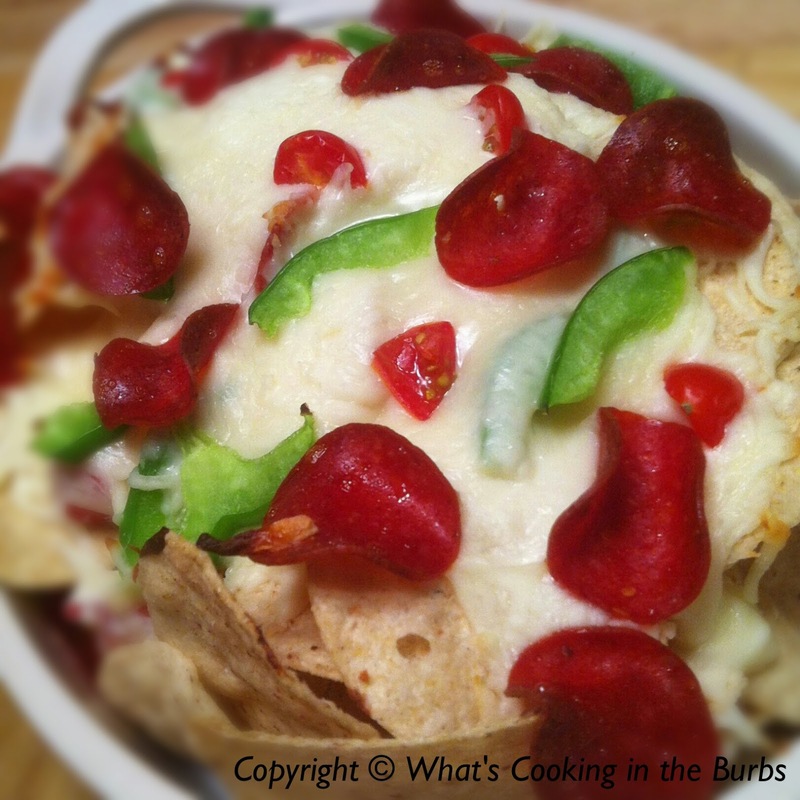 These nachos make the perfect weekend meal. Super simple and you can change up the toppings to whatever you like. They also go great with a frosty beer! Arrange tortilla chips in a single layer onto a baking sheet or large baking dish. Mix softened cream cheese and Parmesan with half of the shredded cheese. Stir in oregano, basil, garlic powder and tomatoes, mixing well to combine. Spoon cheese mixture over tortilla chips. Then add your pepperoni and green pepper. Top it off with your remaining shredded cheese. Bake for 12-15 minutes or until cheese is nicely melted. Enjoy! Mmm... Pizza nachos! I love it when my favourite foods are combined into one! I love the green pepper on their, always adds some kick and freshness!